A Palestinian terrorist convicted of killing two university students is scheduled to appear on a panel at Jewish Voice for Peace’s national meeting in Chicago next month, The Jerusalem Post reported Monday. Rasmea Odeh, a member of the Popular Front of the Liberation of Palestine (PFLP), is set to speak alongside three activists, including Women’s March leader and BDS supporter Linda Sarsour. 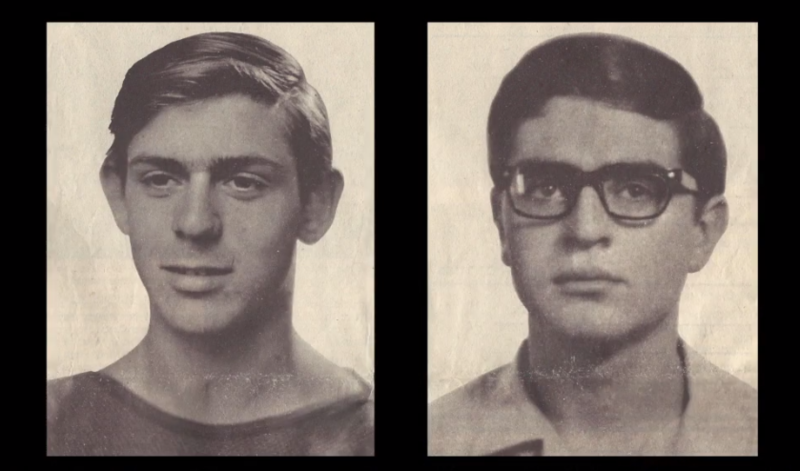 Edward Joffe and Leon Kanner, who were killed in the 1969 Super Sol bombing. In 1980, after serving 10 years of her sentence, Odeh was released during a prisoner exchange between Israel and the PFLP. She immigrated to the United States in 1995, but was found guilty in 2014 of lying on her immigration form—though a federal judge ordered in December that she should receive a new trial. Odeh will then be allowed to argue that the confession of guilt that was used to convict her in an Israeli military court was coerced through torture. Cornell University professor William Jacobson, proprietor of the Legal Insurrection blog, compiled voluminous evidence in 2014 demonstrating Odeh’s association with the PFLP, responsibility for the bombing, and inconsistencies in her narrative — including her claim that she gave a false confession after 25 days of torture, when according to Israeli records she confessed a day after she was arrested. In [the 2004 documentary] Women in Struggle, Aisha Odeh, who was charged with defendant in Israel, admitted that she placed the bomb at the Supersol. In addition, she stated that her role was implementing rather than planning, and she thus was less involved than others. Aisha Odeh stated that Rasmieh Odeh and Rashidah Obedieh had gone and studied the location in advance. … That version of events is precisely what Defendant Rasmieh Odeh admitted in her statement to Israeli authorities. Interestingly, Aisha Odeh’s recent admissions of the truth are in contrast to what she stated in Israel. In the trial within a trial, she made the same false claims of non-involvement and torture as did Defendant Rasmieh Odeh. For instance, Aisha Odeh testified that she had nothing to do with the bombings, and that she only knew a person named Rashidah from jail. Her statement in Women in Struggle now shows the falsity of that earlier testimony, which was coordinated with Defendant Rasmieh Odeh’s. The prosecution added that Rasmea “has given interviews throughout the years to various other publications in which she admitted her role” in participating in terrorist attacks on behalf of the PFLP, and noted other demonstrably false claims Rasmea has made. This included her “testimony at the instant trial, in which she claimed one of the two sisters who was arrested with her in Israel died in custody,” when in reality one of her sisters was let go after 18 days in custody, while her other sister was released after a year and a half. Most recently, Rasmea was implicated by her co-conspirator Aisha Odeh in a 2013 interview on Palestinian Authority TV, in which Aisha admitted to participating in the Super Sol attack and named Rasmea as one of her accomplices. Rasmea is also one of the organizers of the Day Without a Woman nationwide protest, scheduled for March 8.